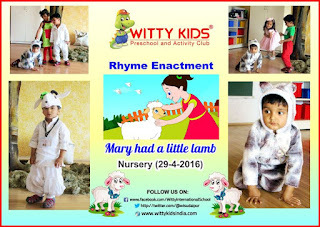 The Little Wittians of Nursery Class had come beautifully dressed up in the costumes of Mary, Lamb , Teacher and school kids , as today was the rhyme enactment of the rhyme ‘Mary had a little lamb’. It was a fun and frolic day for the toddlers of Nursery. The class was adorned with grass and a tree which intensified the beauty of the poem. 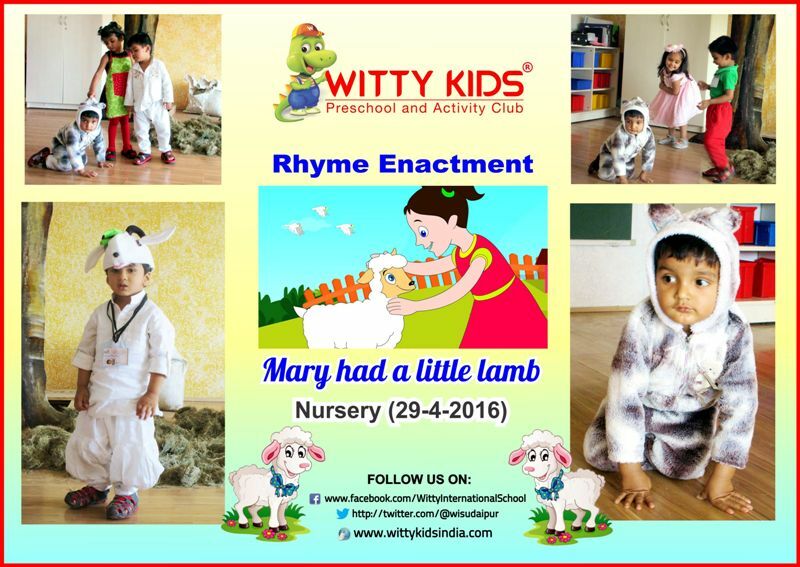 The little ones enacted and narrated the rhyme and did an art activity in the class. The children enjoyed the activity.